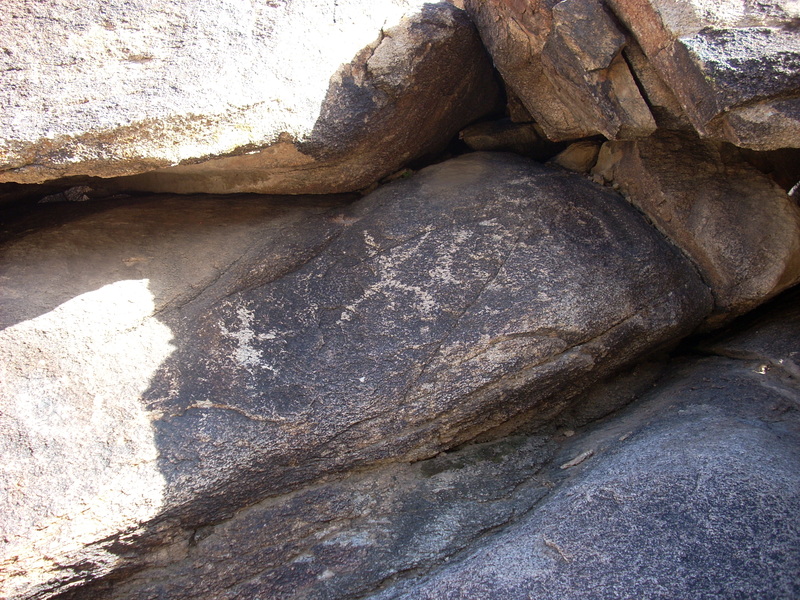 These petroglyphs were spotted up a dry wash, not far from the Holbert Trail and the first parking lot after entering South Mountain Park. 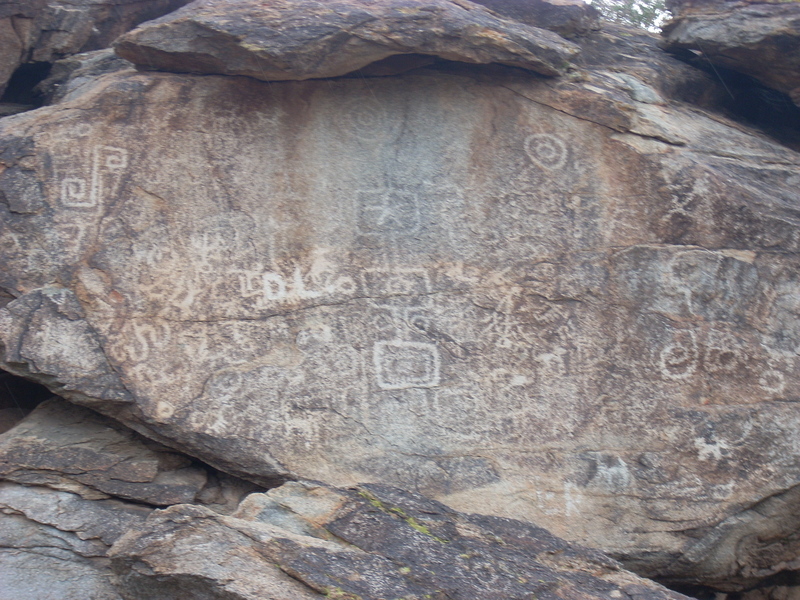 A short hike will bring you to some great petroglyphs, showing “pipettes”, big horn ram, lizards, humans, and more. 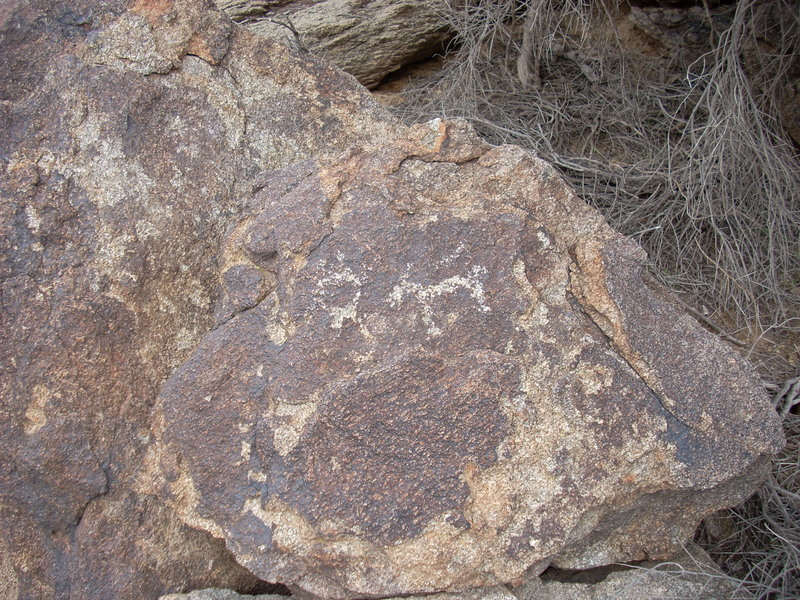 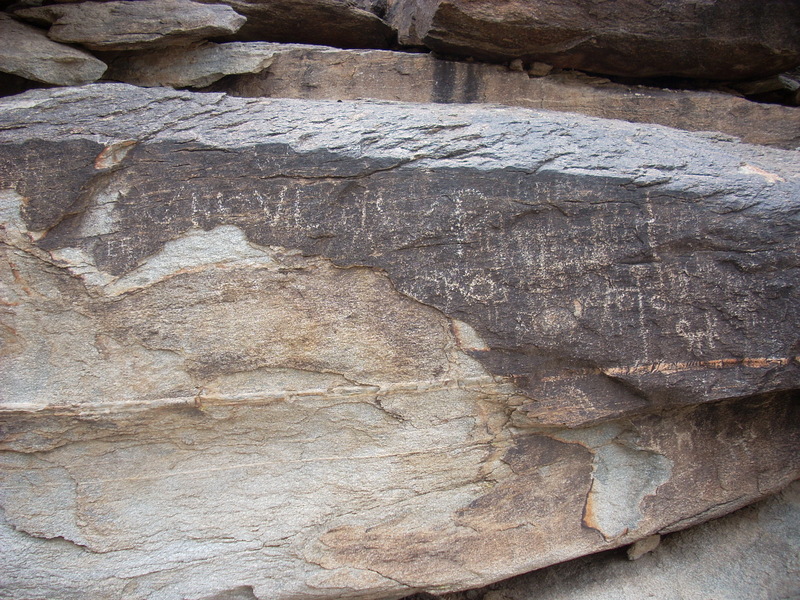 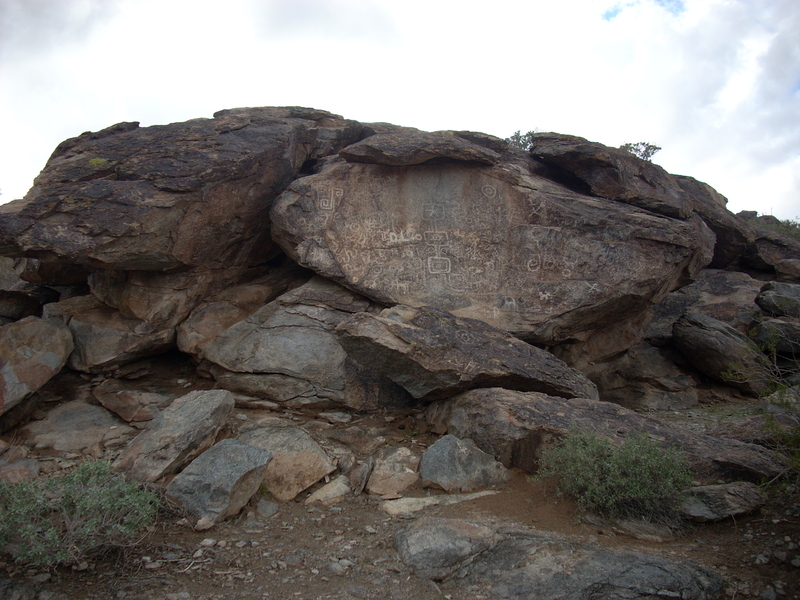 This large boulder, covered in petroglyphs, is easily accessible from the Pima Canyon Entrance to South Mountain Park. 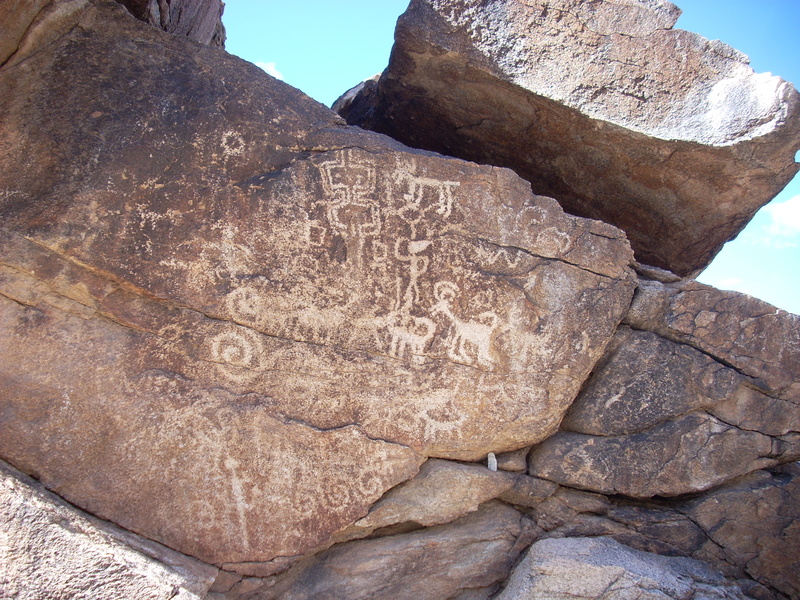 It can be found by parking at the end of East Pima Canyon road and taking the Desert Classic Trail south for a couple hundred feet. 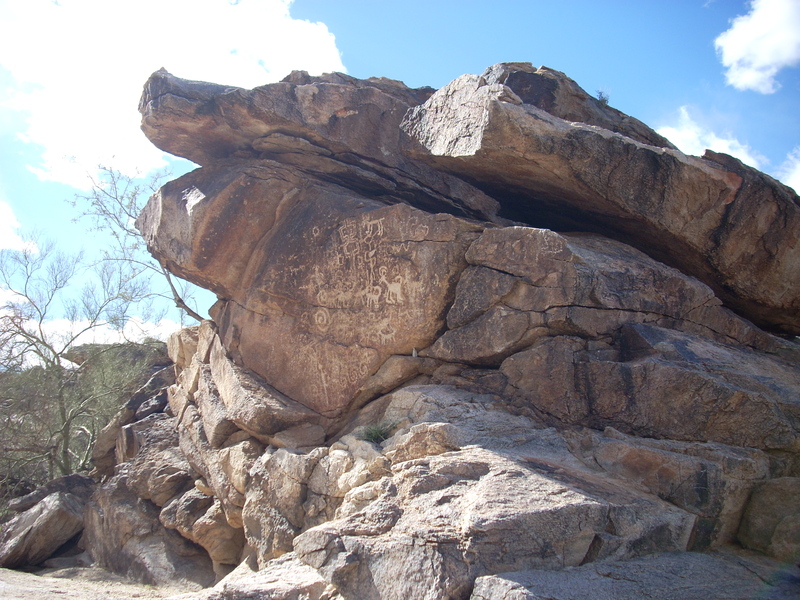 The boulder has a wide variety of geometric and anthropomorphic shapes competing for space. 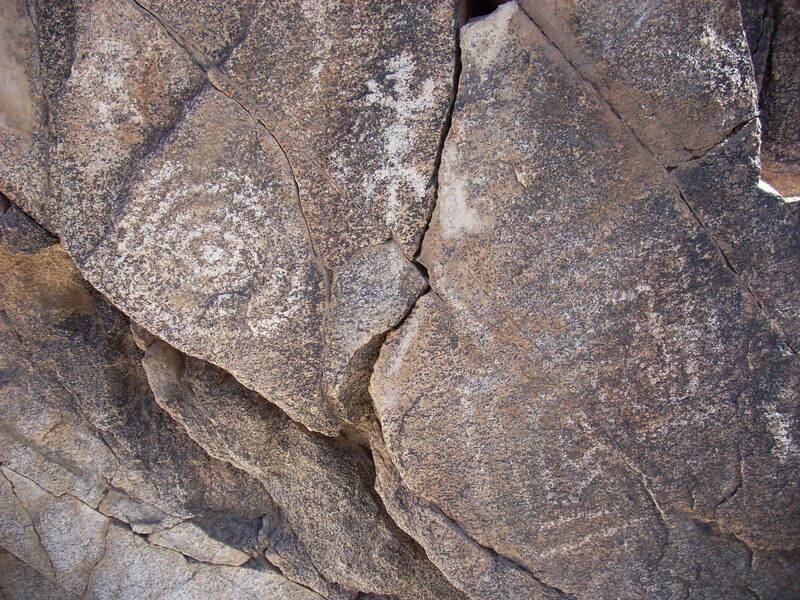 In the center, a vertical, three-tiered structure points to a spiral pattern at the very top. 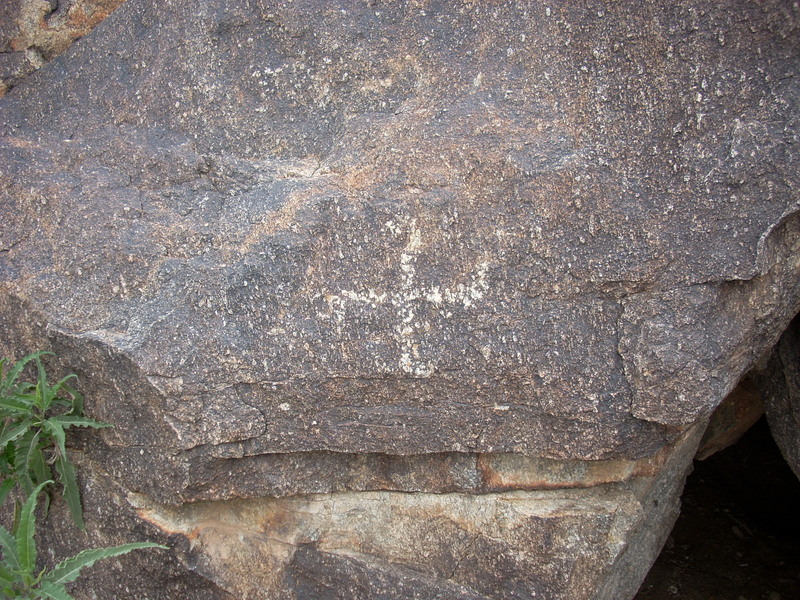 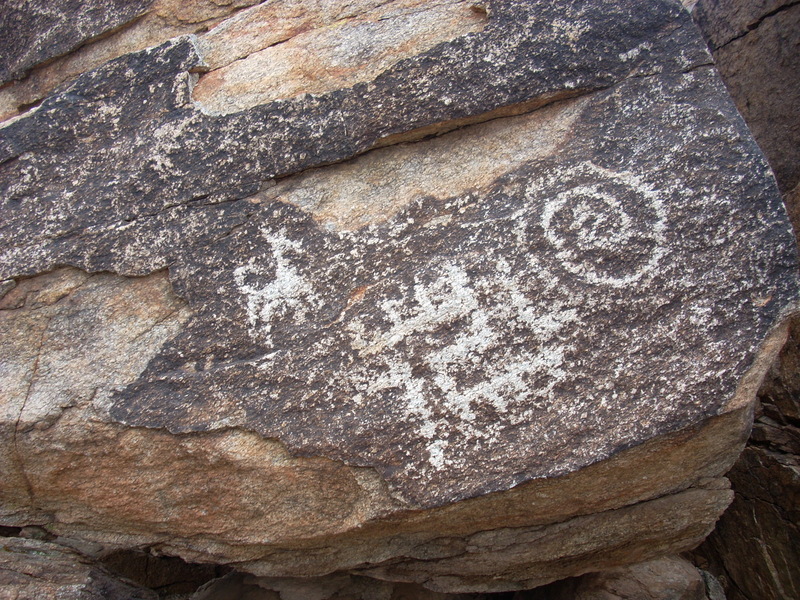 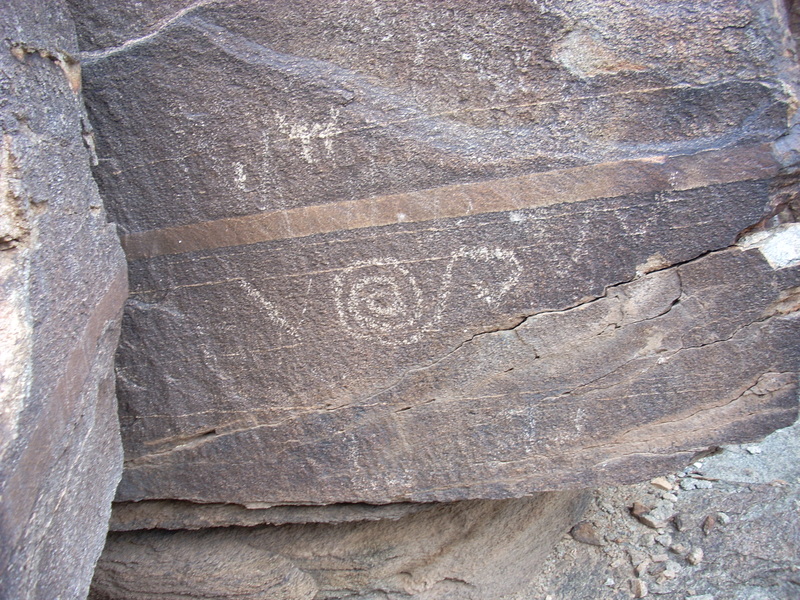 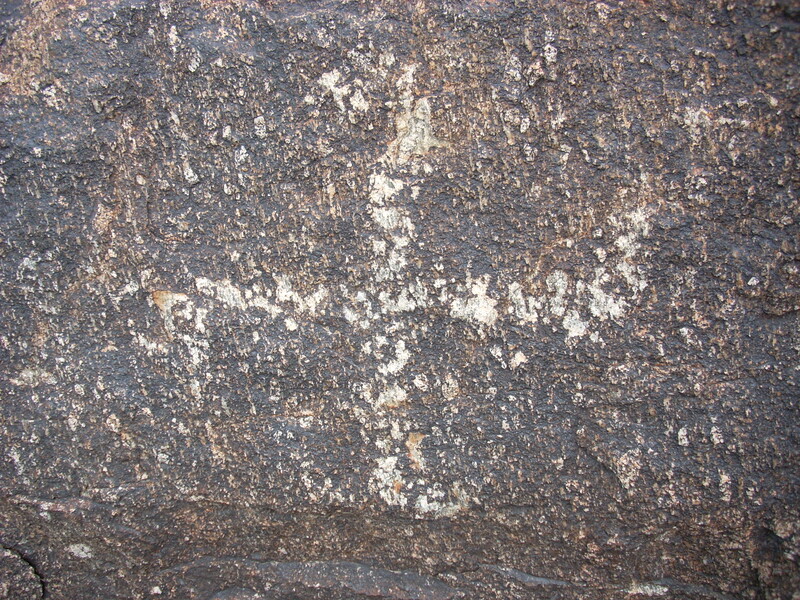 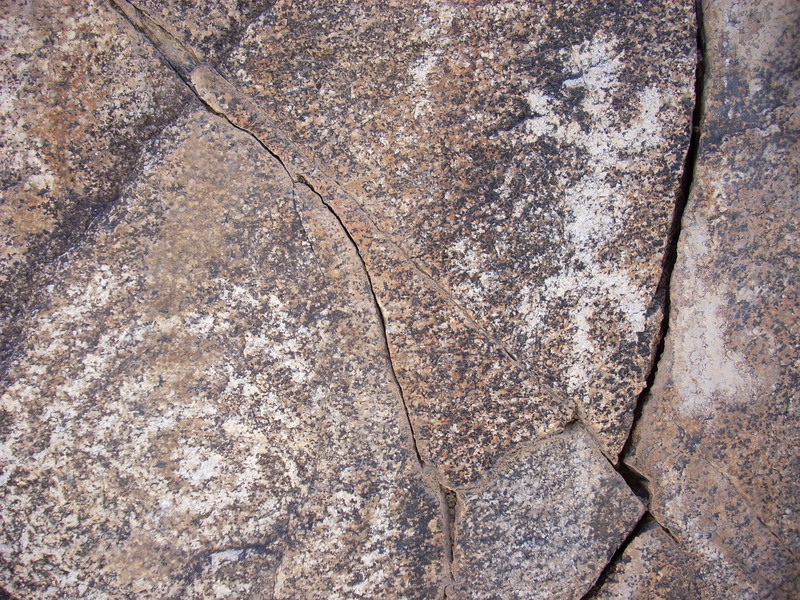 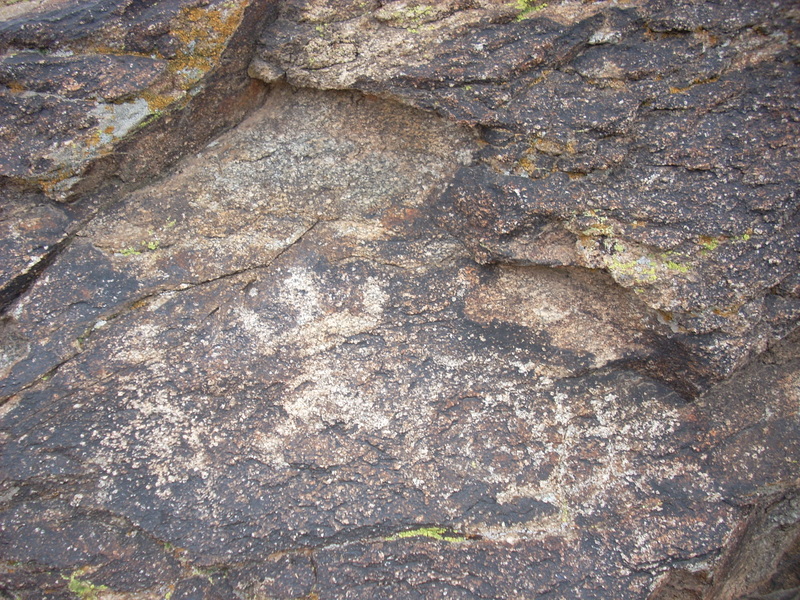 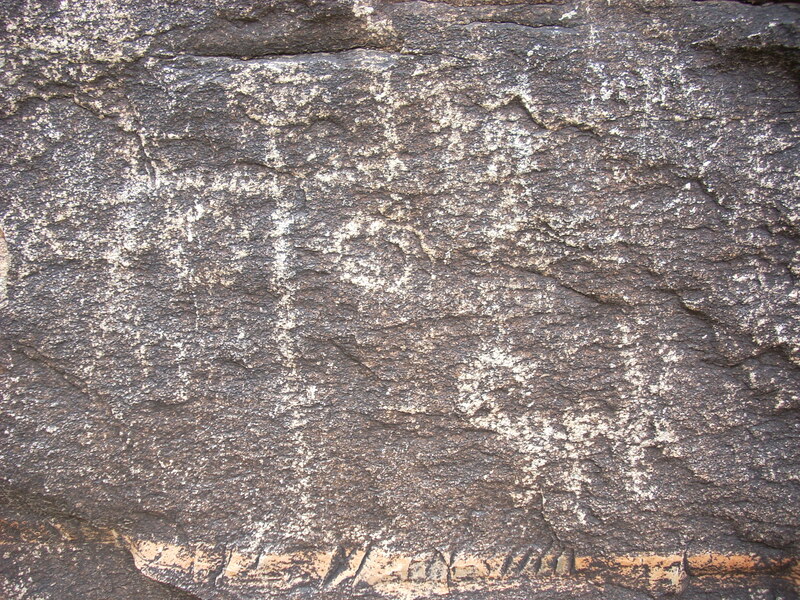 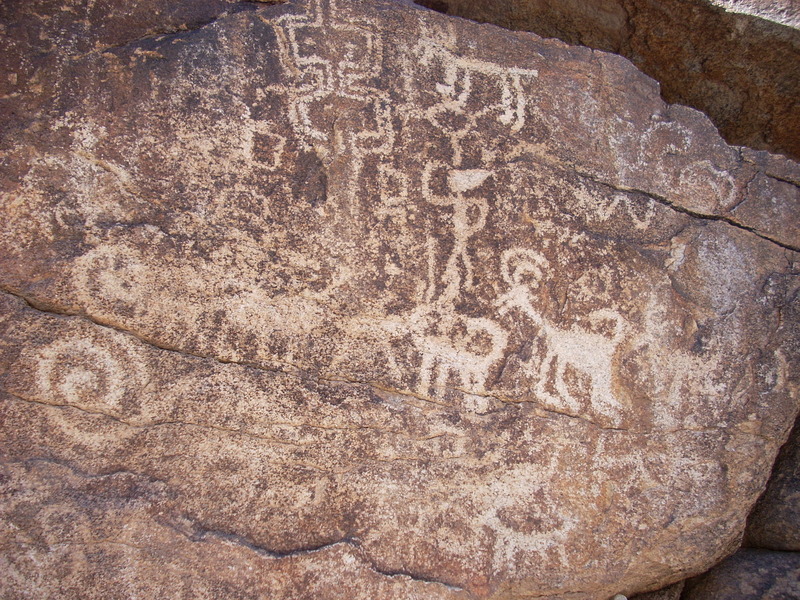 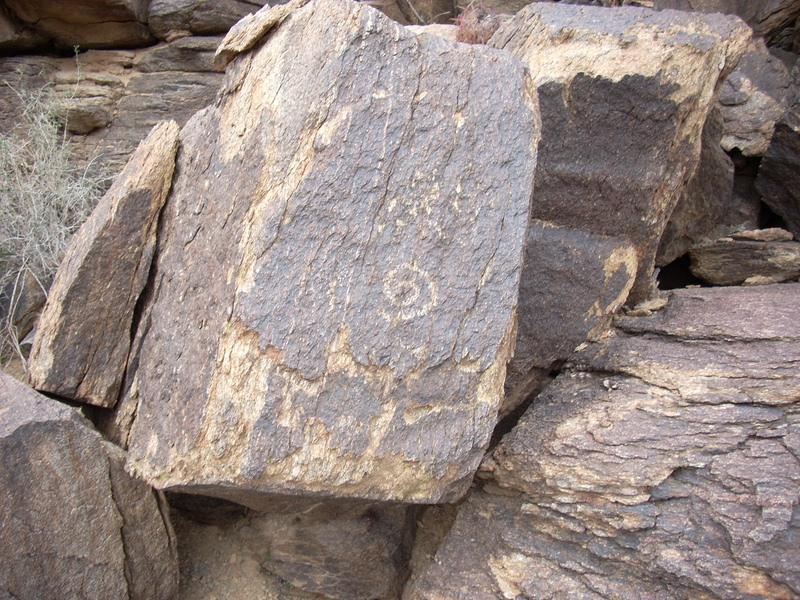 These petroglyphs were found after walking up a large wash next to the Heard Scout Pueblo. 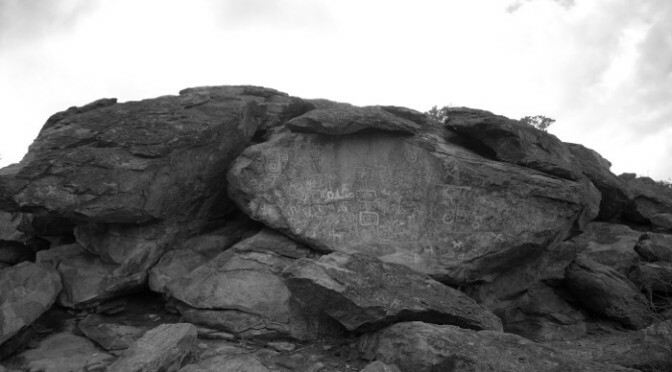 It was a difficult hike, as opposed to taking the trail, but the reward was worth it. 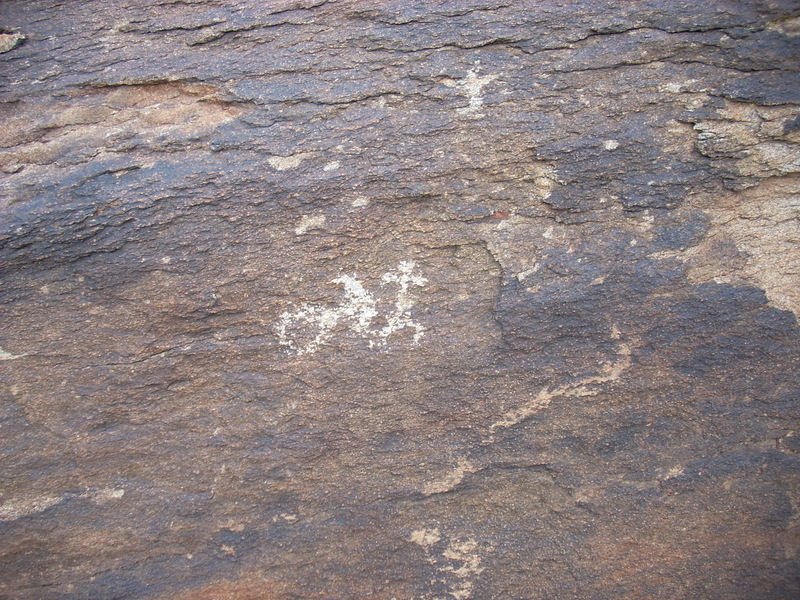 A large amount of petroglyphs could be seen on the walls of the wash. Clearly this was once a spot where, at one time, both people and animals congregated regularly to take advantage of a water source. 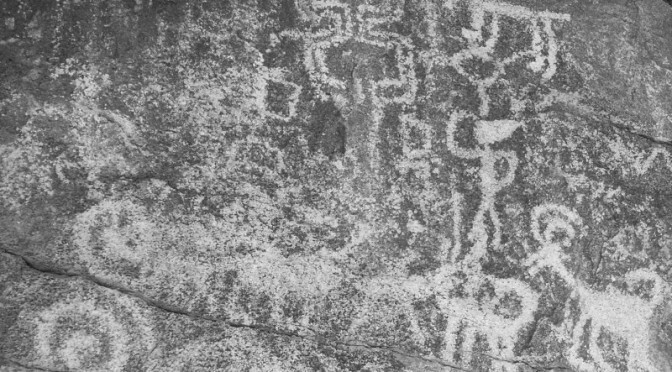 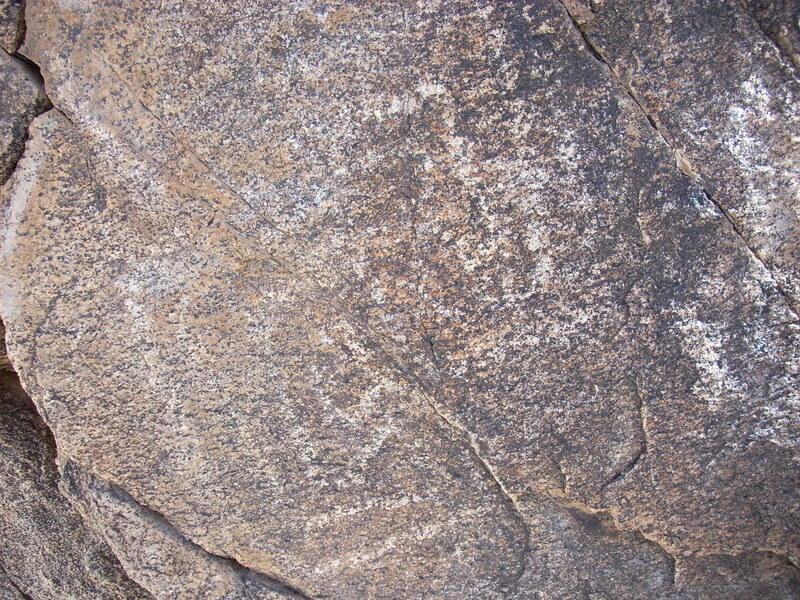 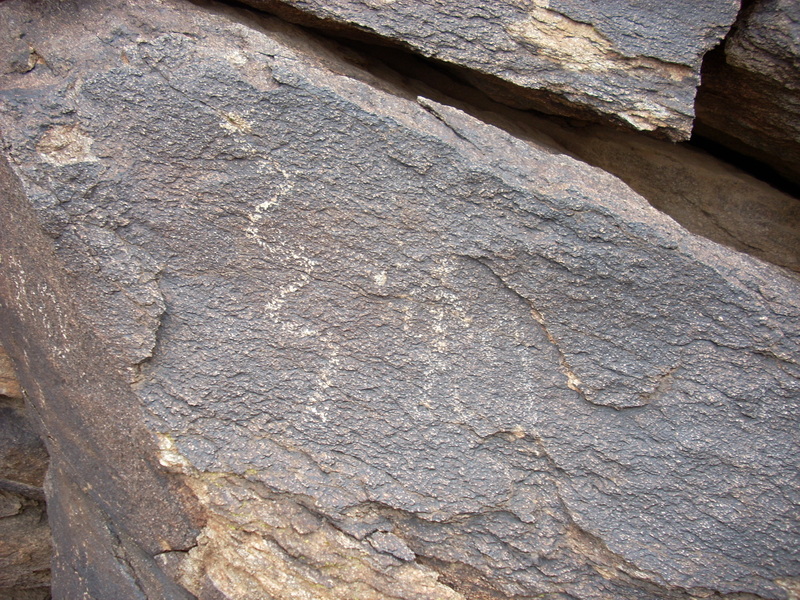 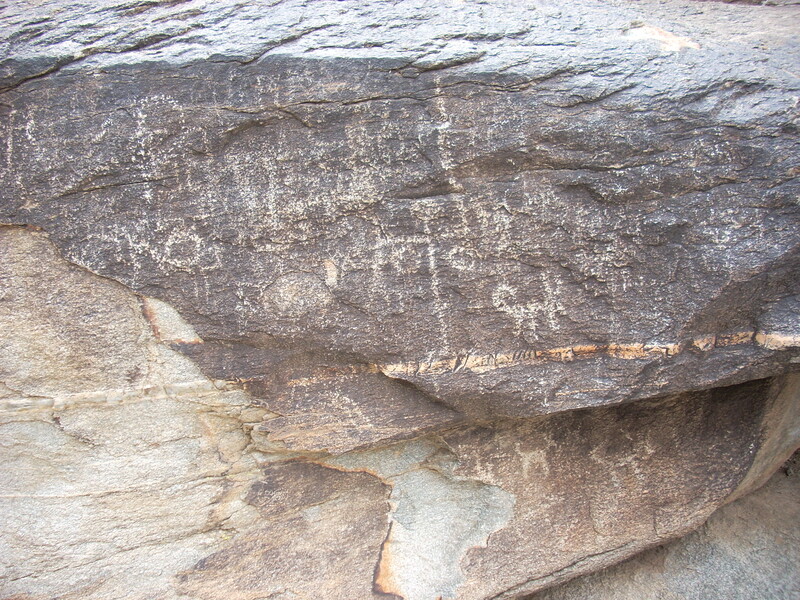 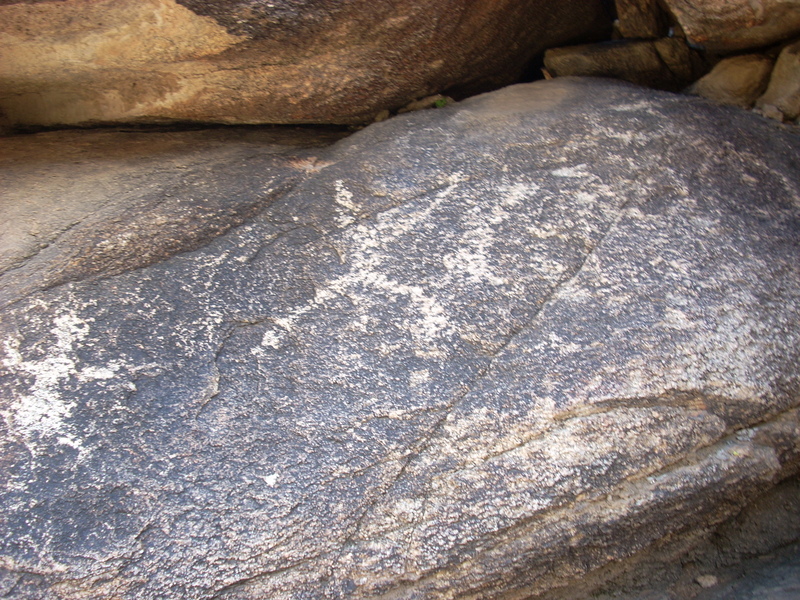 Stay tuned for more posts featuring the petroglyphs in South Mountain Park. 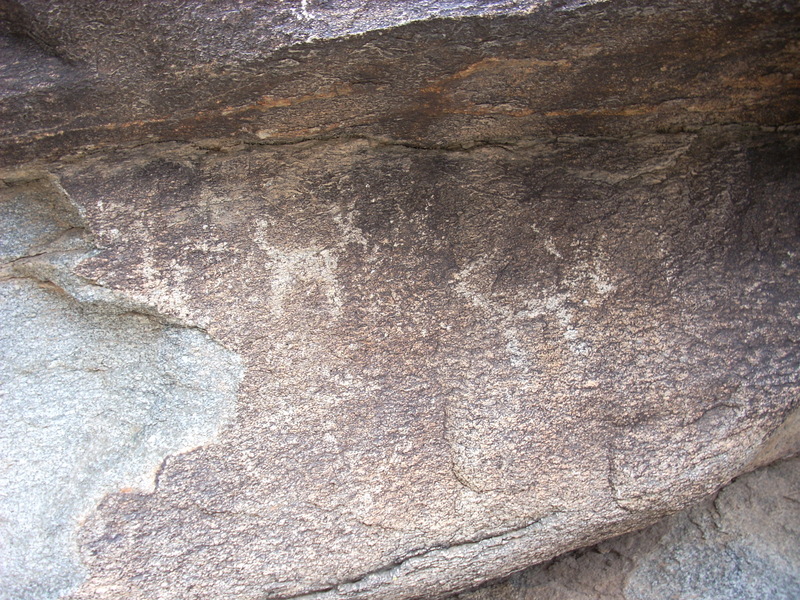 Both photos and longitude/latitude coordinates are provided, with a Google Map at the bottom.